This is a topic that has bothered me for quite a while. There are 2 aspects to it.- The readers perspective and the blogger's perspective. I don't think I can really separate it and write it like how I did when I talked about comments because it gets a bit interwined, but I will try my best to be as clear as possible. As blogger I get products for review and yes these are sent to me for free, but this does not mean that every product I talk about is sent by some brand or paid for. First of all, I don't generally accept payment for a review. I prefer to just try the products and write about them. This again is a controversial topic because I know a lot of bloggers who feel that even if the product is sent to them for review, they should be paid to create the content. That's a whole other debatable topic, but not my topic for the day. Dear bloggers, please be transparent. 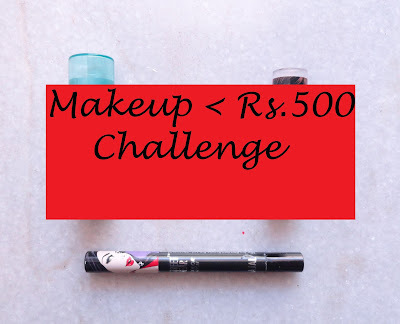 Tell us when you get products for review and when you buy them for review. This way I will be able to trust your opinions more and I will know that you are not a sell out. Otherwise my mind, which is naturally the devil's playground, will only assume the wrong things. 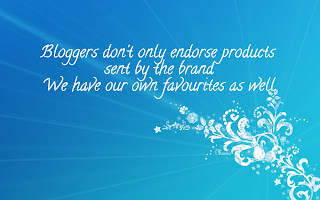 I will assume that you only write posts if paid for, that you don't actually have any opinions of your own normally, and worst of all, I will assume that because I don't get products or get paid as a blogger, I must be a terrible blogger. Now you really don't want to put a fellow blogger through all that mental hassle. do you now. Now the other kind of sponsored post is one where you are paid to write about a brand in a more subtle way. A lot of brands don't let you mention that it is a paid or sponsored post in the actual content, so here is what I do. I add a label or a tag as Paid post and since all the labels are visible in my post, it is easy for my readers to know that I am getting paid for some of the posts. 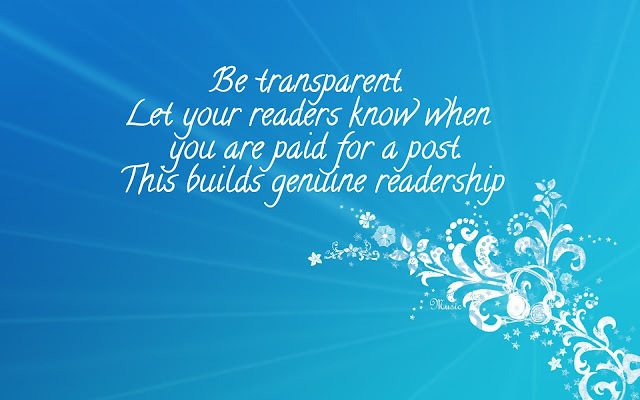 Personally I think it is important to be transparent and that's when your readers trust you more. My dear readers, please don't assume that every product I talk about is a freebie. It does hurt when I get comments suggesting that I would anyway write good things about a product because I was paid to do so. My opinions have always been unbiased. I have gotten free products that I haven't liked and I have stated the same without mincing words too much. Also I don't endorse products that I don't believe in. Have you ever seen me endorse brands that don't use or I don't wear? So no, I don't only talk about products that I am paid to talk about. Now what I do want to know is do you agree with me? 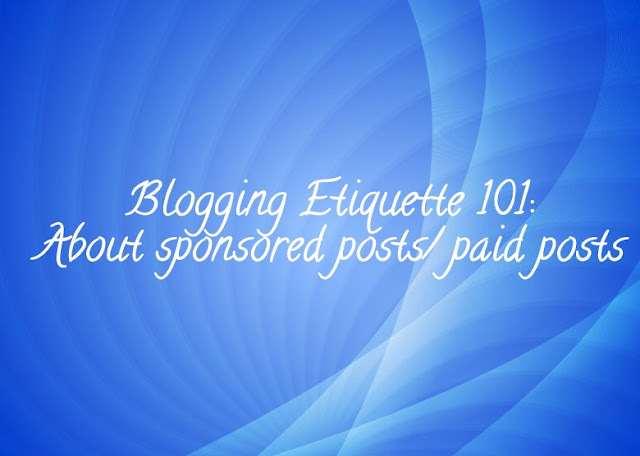 Does it matter to you whether or not a blogger states a post is sponsored or not. Let me know if I am the only one who feels this way. Maybe this is just me ranting. Navrathri Day 3: Styling a sari in an edgy style for a wedding.